Lower Saxony (German: Niedersachsen [ˈniːdɐzaksn̩], Low German: Neddersassen) is a German state (Bundesland) situated in northwestern Germany. It is the second largest state by land area, with 47,624 square kilometres (18,388 sq mi), and fourth largest in population (7.9 million) among the sixteen Länder of Germany. In rural areas Northern Low Saxon, a dialect of Low German, and Saterland Frisian, a variety of Frisian language, are still spoken, but the number of speakers is declining. Lower Saxony borders on (from north and clockwise) the North Sea, the states of Schleswig-Holstein, Hamburg, Mecklenburg-Vorpommern, Brandenburg, Saxony-Anhalt, Thuringia, Hesse and North Rhine-Westphalia, and the Netherlands. Furthermore, the state of Bremen forms two enclaves within Lower Saxony, one being the city of Bremen, the other, its seaport city of Bremerhaven. In fact, Lower Saxony borders more neighbours than any other single Bundesland. The state's principal cities include the state capital Hanover, Braunschweig (Brunswick), Lüneburg, Osnabrück, Oldenburg, Hildesheim, Wolfenbüttel, Wolfsburg and Göttingen. Lower Saxony's major cities and economic centres are mainly situated in its central and southern parts, namely Hanover, Braunschweig, Osnabrück, Wolfsburg, Salzgitter, Hildesheim and Göttingen. Oldenburg, near the northwestern coastline, is another economic centre. The region in the northeast is called the Lüneburg Heath (Lüneburger Heide), the largest heathland area of Germany and in medieval times wealthy due to salt mining and salt trade, as well as to a lesser degree the exploitation of its peat bogs up until about the 1960s. To the north, the Elbe river separates Lower Saxony from Hamburg, Schleswig-Holstein, Mecklenburg-Western Pomerania and Brandenburg. The banks just south of the Elbe are known as Altes Land (Old Country). Due to its gentle local climate and fertile soil, it is the state's largest area of fruit farming, its chief produce being apples. Most of the state's territory was part of the historic Kingdom of Hanover; the state of Lower Saxony has adopted the coat of arms and other symbols of the former kingdom. It was created by the merger of the State of Hanover with three smaller states in 1946. Lower Saxony has a natural boundary in the north in the North Sea and the lower and middle reaches of the River Elbe, although parts of the city of Hamburg lie south of the Elbe. 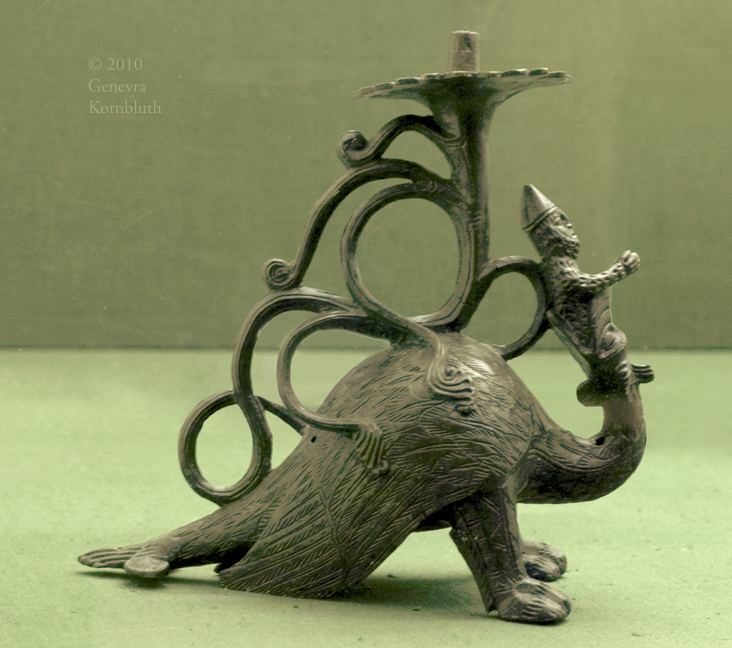 The state and city of Bremen is an enclave entirely surrounded by Lower Saxony. The Bremen/Oldenburg Metropolitan Region is a cooperative body for the enclave area. 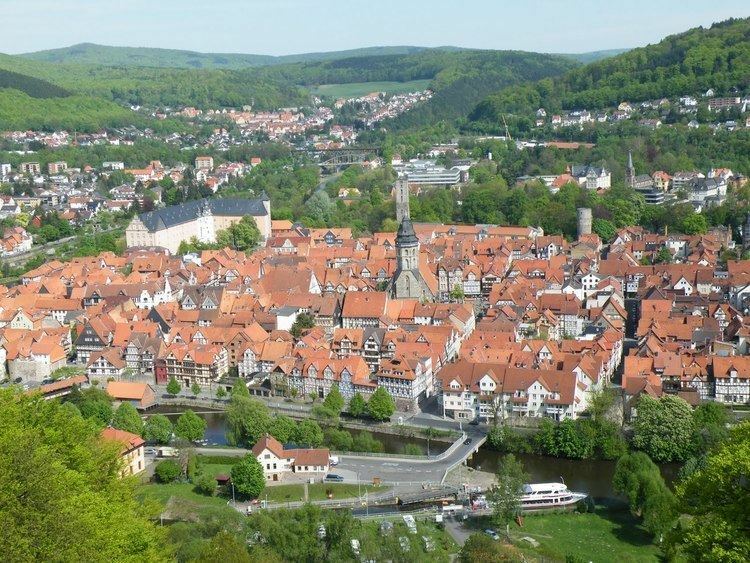 To the southeast the state border runs through the Harz, low mountains that are part of the German Central Uplands. The northeast and west of the state – which form roughly three-quarters of its land area – belong to the North German Plain, while the south is in the Lower Saxon Hills, including the Weser Uplands, Leine Uplands, Schaumburg Land, Brunswick Land, Untereichsfeld, Elm and Lappwald. In northeast Lower Saxony is Lüneburg Heath. The heath is dominated by the poor sandy soils of the geest, whilst in the central east and southeast in the loess börde zone there are productive soils with high natural fertility. Under these conditions—with loam and sand-containing soils—the land is well-developed agriculturally. In the west lie the County of Bentheim, Osnabrück Land, Emsland, Oldenburg Land, Ammerland, Oldenburg Münsterland and – on the coast – East Frisia. The state is dominated by several large rivers running northwards through the state: the Ems, Weser, Aller and Elbe. The highest mountain in Lower Saxony is the Wurmberg (971 m) in the Harz. 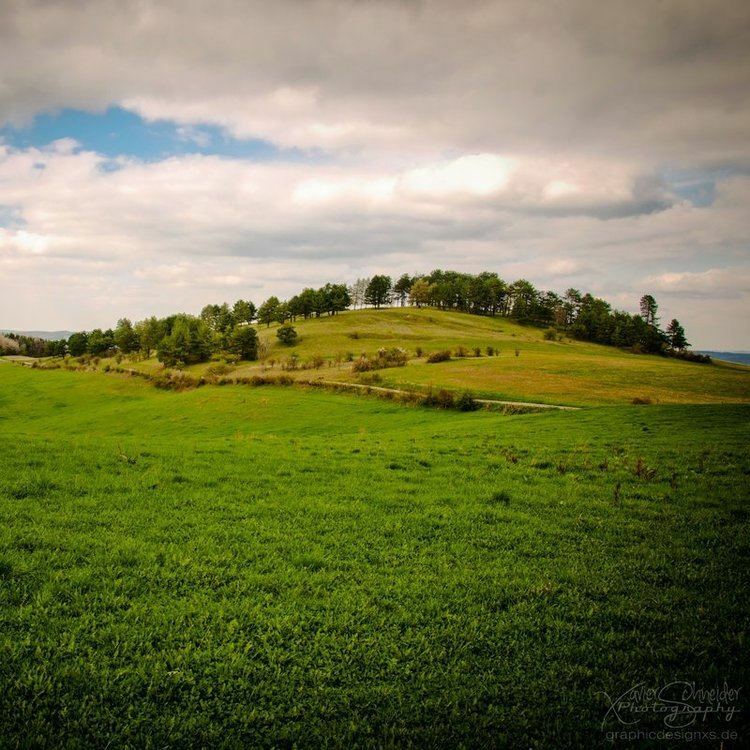 For other significant elevations see: List of mountains and hills in Lower Saxony. Most of the mountains and hills are found in the southeastern part of the state. The lowest point in the state, at about 2.5 metres below sea level, is a depression near Freepsum in East Frisia. The state's economy, population and infrastructure are centred on the cities and towns of Hanover, Stadthagen, Celle, Braunschweig, Wolfsburg, Hildesheim and Salzgitter. Together with Göttingen in southern Lower Saxony, they form the core of the Hannover–Braunschweig–Göttingen–Wolfsburg Metropolitan Region. Lower Saxony has clear regional divisions that manifest themselves both geographically as well as historically and culturally. In the regions that used to be independent, especially the heartlands of the former states of Brunswick, Hanover, Oldenburg and Schaumburg-Lippe, there is a marked local regional awareness. By contrast, the areas surrounding the Hanseatic cities of Bremen and Hamburg are much more oriented towards those centres. Sometimes there are overlaps and transition areas between the various regions of Lower Saxony. Several of the regions listed here are part of other, larger regions, that are also included in the list. Fellow Länder bordering on Lower Saxony are Bremen, Hamburg, Schleswig-Holstein, Mecklenburg-Vorpommern, Brandenburg, Saxony-Anhalt, Thuringia, Hesse and North Rhine-Westphalia. No other German state has so many neighbours. 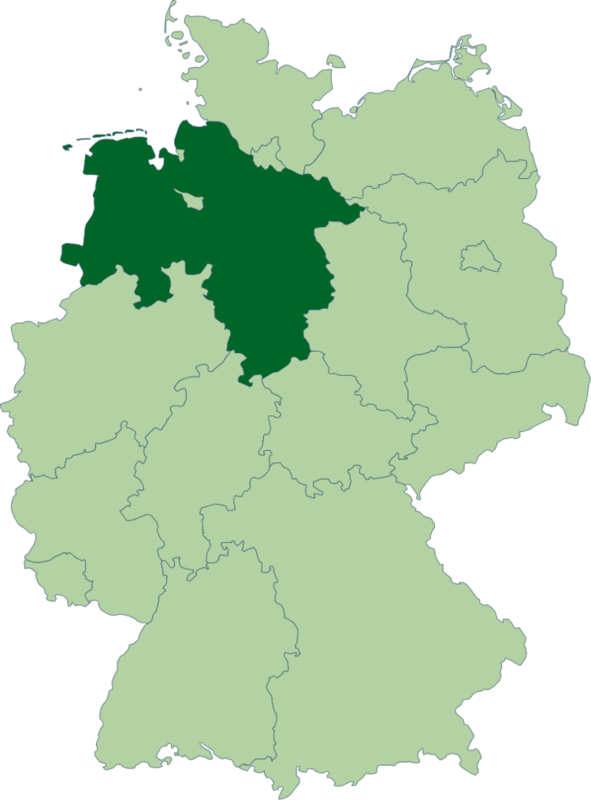 Lower Saxony also has a border with the Dutch provinces of Overijssel, Drenthe and Groningen as well as part of the German North Sea coast. ¹ following the "Göttingen Law" of 1 January 1964, the town of Göttingen is incorporated into the rural district (Landkreis) of Göttingen, but is treated as an urban district unless other rules apply. On 1 November 2016 the districts of Osterode and Göttingen will merge under the name Göttingen, not influencing the cities special status. ² following the "Law on the region of Hanover", Hanover merged with the district of Hanover to form the Hanover Region, which is treated mostly as a rural district, but Hanover is treated as an urban district since 1 November 2001 unless other rules apply. The name of Saxony derives from that of the Germanic tribe of the Saxons. 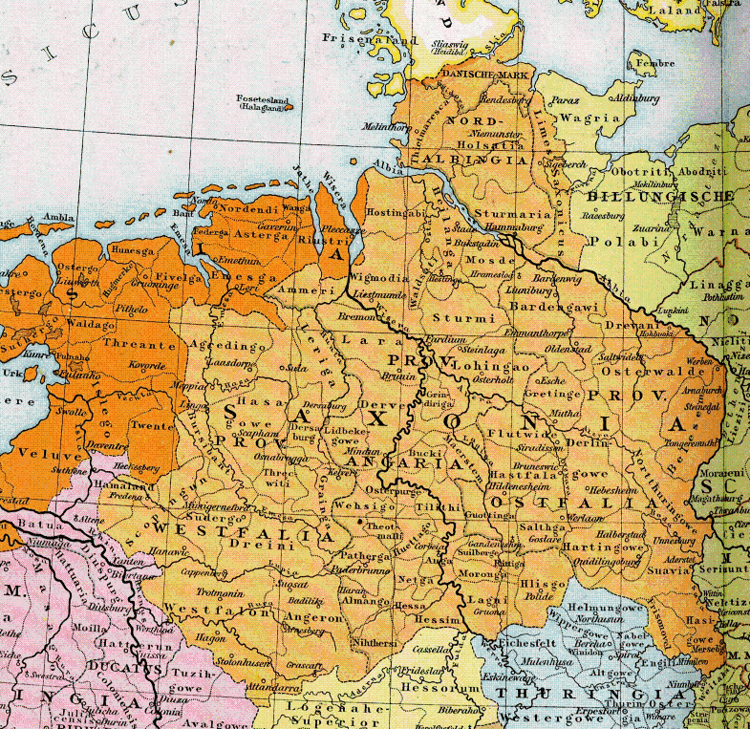 Before the late medieval period, there was a single Duchy of Saxony. 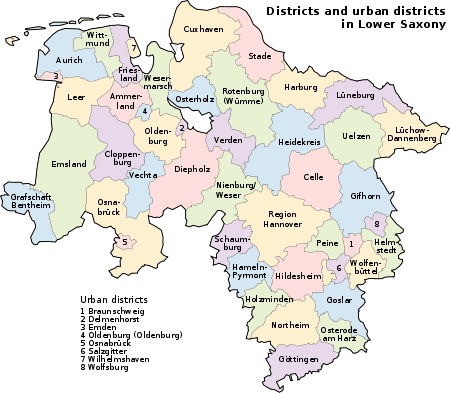 The term "Lower Saxony" was used after the dissolution of the stem duchy the late 13th century to disambiguate the parts of the former duchy ruled by the House of Welf from the Electorate of Saxony on one hand, and from the Duchy of Westphalia on the other. The city of Wesermünde that then lay in the Regierungsbezirk Stade was renamed in 1947 to Bremerhaven and incorporated into the new federal state of Bremen. The 2011 census stated that a majority of the population were Christians (71.93%); 51.48% of the total population were member of the Evangelical Church in Germany, 18.34% were Catholics, 2.11% were member of other Christian denominations, 2.27% were member of other religions. 25.8% were not religious. As of 2015, the Evangelical Church in Germany was the faith of 45.7% of the population. It is organised in the five Landeskirchen named Evangelical Lutheran State Church in Brunswick (comprising the former Free State of Brunswick), Evangelical Lutheran Church of Hanover (comprising the former Province of Hanover), Evangelical Lutheran Church in Oldenburg (comprising the former Free State of Oldenburg), Evangelical Lutheran Church of Schaumburg-Lippe (comprising the former Free State of Schaumburg-Lippe), and Evangelical Reformed Church (covering all the state). The Catholic Church was the faith of 17.2% of the population in 2015. It is organised in the three dioceses of Osnabrück (western part of the state), Münster (comprising the former Free State of Oldenburg) and Hildesheim (northern and eastern part of the state). 37.1% of the Low Saxons were irreligious or adhere to other religions. Islam is a minority faith. Agriculture, strongly weighted towards the livestock sector, has always been a very important economic factor in the state. The north and northwest of Lower Saxony are mainly made up of coarse sandy soil that makes crop farming difficult and therefore grassland and cattle farming are more prevalent in those areas. Lower Saxony is home, in 2017, to one in five of Germany's cattle, one in three of the country's pigs, and 50% of its hens. Wheat, potatoes, rye, and oats are among the state's present-day arable crops. Towards the south and southeast, extensive loess layers in the soil left behind by the last ice age allow high-yield crop farming. One of the principal crops there is sugar beet. Manufacturing is another large part of the regional economy. Despite decades of gradual downsizing and restructuring, the car maker Volkswagen with its five production plants within the state's borders still remains the single biggest private-sector employer, its world headquarters in Wolfsburg. Due to the Volkswagen Law, which has recently been ruled illegal by the European Union's high court, the state of Lower Saxony is still the second largest shareholder, owning 20.3% of the company. Thanks to the importance of car manufacturing in Lower Saxony, a thriving supply industry is centred around its regional focal points. Other mainstays of the Lower Saxon industrial sector include aviation, shipbuilding (e.g. Meyer Werft), biotechnology, and steel. The service sector has gained importance following the demise of manufacturing in the 1970s and 1980s. Important branches today are the tourism industry with TUI AG in Hanover, one of Europe's largest travel companies, as well as trade and telecommunication. After the state election on 20 January 2013, Stephan Weil of the Social Democrats was elected as the new Minister-President. He governs in coalition with the Greens.